This entry was posted in Industry and tagged Delivrd, inventory, inventory control, inventory management, products, reorder point, reorder point calculation, safety stock on April 23, 2017 by Anastasiia Myronets. According to Wikipedia, a reorder point defines when to order, not how much to order. In other words, the reorder point informs you about the lowest stock level that your inventory should reach before you place a new order. The appropriate reorder point is defined by the delivery time stock, which is the inventory that you need during the lead time, and the safety stock, which is the minimum inventory level acting as a protection against inventory shortages. For more information regarding the reorder point and safety stock, see Reorder Point vs. Safety Stock: What’s the Difference? Meanwhile, in this post we’ll focus on the reorder point formula and how to calculate it. Let’s take a closer look at each of these variables. Average daily unit issues refer to the quantity of an item sold per day. You can define this variable by dividing the number of items sold during a month by the number of days in this month. For example, if you sold 650 T-shirts in January, your average daily unit issues would be 650/30 = 21.6 T-shirts a day. Please note that it’s not necessary to round to an even number. Lead time is the amount of time in days that it takes from the time you order the stock until the time it arrives. You can derive this amount from your past replenishment orders, and it can be an approximate number. For example, it can be 7 days. Safety stock is a minimum amount of stock that you want to keep in your inventory, and you should define it yourself, considering such factors as delivery delays, seasonal demand, or damaged items. You can research your past replenishment orders to find out these factors. For example, it can be 30 items. It means that your reorder point equals 151.2. Wirh Delivrd inventory management software, you can easily set up both the safety stock and reorder point for your orders, so that the system can warn you when you reach these amounts. For more information, see Reorder Point vs. Safety Stock: What’s the Difference? Reorder Point vs. Safety Stock: What’s the Difference? This entry was posted in Delivrd HowTo, Industry and tagged Delivrd, inventory, inventory control, inventory management, products, reorder point, safety stock on December 2, 2016 by Anastasiia Myronets. 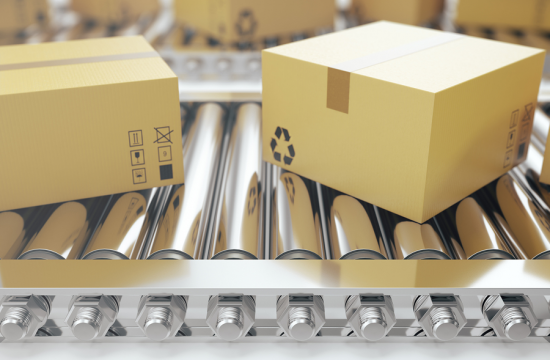 The concepts of reorder point and safety stock may be confused in Delivrd, so we’d like to explain the difference in this article. Imagine that you work for a company that prints on T-shirts, and you have a supplier from which you regularly order “blank” T-shirts of different colors. Black and white medium-sized T-shirts are high sellers, as most people prefer their corporate logos, rock band names, or just funny pictures to be printed on black or white tees. Let’s take a white medium-sized T-shirt as an example. Let’s suppose that you have 10 boxes of white medium-sized T-shirts in stock, with 100 tees per box, and would like to reorder them from your supplier when you have 5 boxes (500 tees) left. So, how to achieve this during inventory management in Delivrd? Click Products & Inventory > Products to view a list of your products. To learn how to create and import new product records, see Delivrd User Documentation. To the left of the needed product name, click Actions > Edit. On the General tab, in the UOM (Unit of Measure) drop-down list, select Box. In the Reorder Point field, enter 5. As a result, you will get low inventory warnings when your inventory of white medium-sized T-shirts reaches 5 boxes. You can still take the T-shirts from the warehouse, but it’s a bad practice, which may result in reaching the safety stock limit. Safety stock acts as a safety belt for your inventory. Issuing stock when it goes below safety stock levels is a poor inventory management practice and should be avoided whenever possible. Click Products & Inventory > Products to view a list of your products. To learn how to create new products, see Delivrd User Documentation. In the Safety Stock field, enter 2. However, it’s up to you decide what to do when you reach the safety stock level. In case of reaching the reorder point, it’s clear that you need to reorder inventory by using the replenishment (purchase) order in Delivrd. But in case of reaching the safety stock, you can either stop all issues or fulfill customer orders until the stock level is zero. You can use the safety stock only as a measure of accurate inventory management, as the stock should never get below the safety stock level. An accurate reorder point means that you never get lower than your safety stock level, but a good safety stock level means that your quantity never hits zero while people are still willing to purchase the product. Note: The figures in the example above are very approximate. Of course, you should make thorough calculations, estimations, and forecasts to determine the exact figures for reorder point and safety stock. where average daily unit sales means the average number of product units that are sold per day, and the average delivery lead time is a time period that is typically required for a specific product to arrive. This entry was posted in Industry and tagged damaged stock, inventory, inventory control, inventory count, inventory management, multi-location inventory management, reorder point, safety stock, suppliers on October 25, 2016 by Anastasiia Myronets. The phrase “inventory management” may sound routine and even a bit boring. However, actually it’s a powerful tool that affects not only the profit or loss of your company, but also customer satisfaction. Here are some secrets that may bring your inventory management process to a new level. 1. Name your products clearly. Sounds pretty simple, but helps to avoid confusion when identifying the products and comparing their names in the inventory management system and physical warehouse. 2. Plan your inventory, make forecasts, and have backup plans for each aspect of inventory management. Be proactive and prepared to any possible issues. 3. Have several suppliers for high-sellers. High-sellers are items that have a huge demand, so you may end up with shortage of those items and don’t even notice that. Therefore, an extra supplier sounds like a plan B and will allow you to constantly keep high-selling items in the stock. 4. Establish ongoing “retailer-supplier” relationship. Trusted relationship with your suppliers is half success, so don’t forget to share with them your up-to-date inventory plans. 5. Regularly count your inventory to avoid unexpected stock shortages. Delivrd offers a convenient Inventory Count feature, which is available on the Inventory List page. 6. Carefully check the available stock amount to avoid both out-of-stock and overstock situations. Delivrd has the Reorder Point and Safety Stock features, both of which are available on the product page. Reorder Point means the acceptable minimum of product units in your inventory, after which you should reorder the products from your supplier. 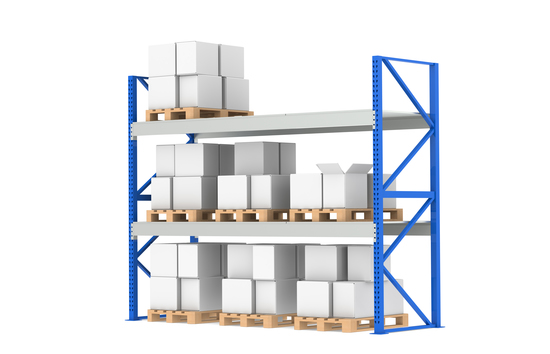 Safety Stock means the number of product units in stock after reaching which the products should no longer be issued. As a rule, you first hit the reorder point, and only later, if you failed to manage the stock correctly, you hit the safety stock level. 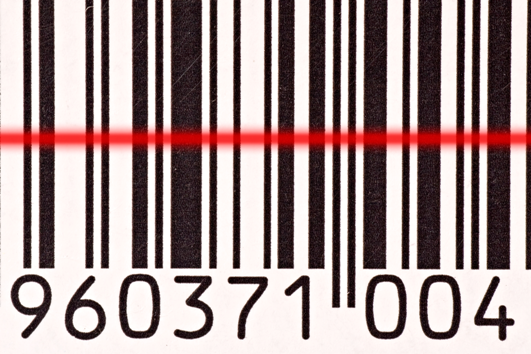 Currently, safety stock is marked with red, whereas the reorder point is marked with yellow for all transactions. Besides, Delivrd displays notifications when the stock falls below the reorder point, and a replenishment order should be created. 7. Manage damaged stock. Sad as it is, but your stock may decrease not only because of sales but also because of the human factor, when warehouse staff may unintentionally damage some items. Besides, the damaged stock can also be shipped from your supplier. Therefore, damaged stock should be properly managed in order to show accurate figures in the reports. In Delivrd, you can activate the damaged stock handling functionality in user settings. 8. Create and maintain inventory documentation. Documenting the standard operating procedures, such as billing instructions, shipping guidelines, product specifications, packaging manuals, and so on, is extremely important for consistency of all processes at the warehouse. 9. Manage inventory at multiple locations. With the growth of your business, it becomes quite tough to manage inventory at one warehouse only. However, you don’t need several inventory management systems for several locations. In user settings of Delivrd, you can turn on the option of handling inventory at multiple locations, making the process easier and more straightforward. 10. Hire a professional to handle your inventory management. Again, as your business grows, you may find it hard to manage the inventory on your own, so it’s always better to entrust this responsibility to a skilled professional. This entry was posted in Industry and tagged inventory, inventory management, replenishment, replenishment order, suppliers, VAT rates, working with suppliers on October 21, 2016 by Anastasiia Myronets. For a successful business, it’s crucial not only to find the right supplier but also to establish ongoing relationships with them. 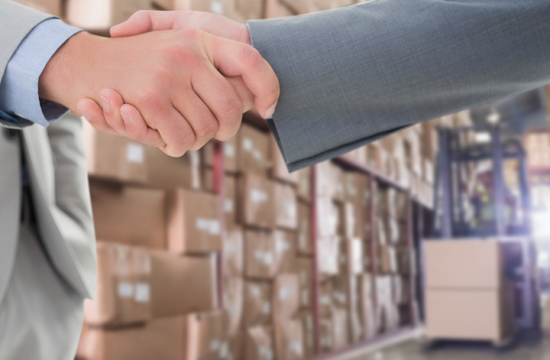 Here are some tips and tricks that may help you when working with suppliers. Note Differences in Time Zones. Remember that if your supplier is located in time zone different than yours, e.g. Europe and the US, it may impact the delivery time and costs. Pay Attention to Differences in Business Culture. Be prepared that in some countries, attitude is more laid back so adhering to lead times might be limited, whereas other cultures are more accurate. You may also experience issues such as differences in law, quality expectations, language barrier, etc. Know Differences in Currency. It’s great if your inventory management system supports multiple currencies and exchange rates, as your currency may differ from the supplier’s currency. Know Differences in VAT Rates. Each country, even each state in the US, has its own VAT rate. Check out the Wikipedia article which has a table of VAT rates for various countries, and be sure to have this table at hand. Prepare Product Descriptions Beforehand. While you are waiting for new stock to arrive, you can create product descriptions but not publish them until you receive the stock. It may save you lots of time. Have More Than 1 Supplier for the Same Product. It won’t hurt to have a backup plan for high-selling items in case of issues with a primary supplier. Regularly Communicate with Your Suppliers. It would be nice to develop the habit of discussing the progress of your business with suppliers. Use Inventory Management Software to Monitor and Evaluate Your Suppliers. It’s good to keep a database of your suppliers, so that you could store information about them, easily create replenishment orders, and make remarks about the quality of your cooperation. Delivrd offers a convenient feature for managing business partners, including the suppliers. 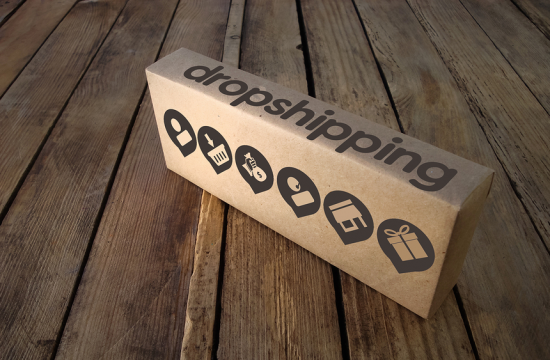 Specifically, you can rank the quality of each shipment that you receive from your supplier. And the most important advice – Pay Your Invoices on Time, according to agreed payment terms. This entry was posted in Industry and tagged inventory, inventory control, inventory management, inventory manager, inventory manager skills, inventory manager tasks, replenishment, replenishment order, stock control, stock management, suppliers on October 18, 2016 by Anastasiia Myronets. An inventory manager is not just a guy lost somewhere between the warehouse racks. Actually, this position requires a unique, “superhero” set of skills, which will streamline a business, if properly applied. Before we dig deeper into those superpower skills, let’s take a look at typical daily activities of an inventory manager. Recording the Inventory. An inventory manager should keep a complete list of company’s SKUs and their characteristics as well as constantly update this list. For smaller companies, an Excel spreadsheet would be enough, but larger companies should use more sophisticated ERP and inventory management tools. Delivrd provides the convenient and easy-to-use Inventory List functionality. Controlling the Stock. Inventory managers are responsible for tracking and controlling the available inventory items. They should always be aware of the number of new items that come from replenishment orders, and they should know which items are either low in stock or overstock. For these purposes, inventory managers can use specialized software such as Delivrd, with which they can count inventory, register issue/receipt, view transaction history, and more. Working with Suppliers. A superhero inventory manager is responsible not only for finding reliable and cost-effective suppliers, but also for maintaining long-term partnerships with them. 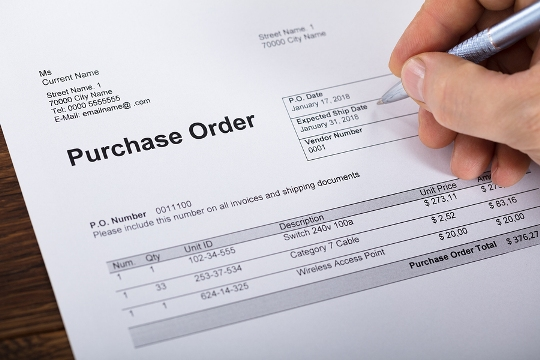 In smaller companies, an inventory manager can also process replenishment orders for purchase and delivery of new inventory items. Delivrd makes it possible both to keep a list of suppliers and manage replenishment orders with those suppliers. Coordinating the Warehouse Staff. In larger companies, an inventory manager can lead a team of warehouse employees and control how they receive and record new stock. In other words, they should make sure that each item is on its place and there are no shortages. This is just a rough list of what a superhero inventory manager can do during the day. But it’s not enough just to do it – it’s important how to do it. Let’s see which skills are essential for a true inventory management superhero. Strong Math Skills. A superhero in the sphere of inventory management should definitely be a math genius. Unfortunately, inventory management software cannot replace human input by 100%, as the stock amount that is available on warehouse shelves should correspond with the amount in the database. And of course the role of an inventory manager requires more in-depth calculations during the inventory planning and forecasting activities. Brilliant Knowledge of Data Analysis and Forecasting Methods. A good inventory manager should be proactive, not reactive. In other words, they should be able to research the current situation with inventory, make forecasts for the future, and always have a backup plan for emergency cases. Multitasking. A job of an inventory manager is quite versatile, from counting and replenishing the inventory to hiring and managing the warehouse staff. Ability to handle all of those tasks and not to go crazy is for sure a superpower! Organizational and Communication Skills. Ability to negotiate with suppliers, make profitable deals, organize supply and delivery – all of this belongs to organizational and communication skills that an inventory manager should possess. Leadership Skills. As we’ve mentioned earlier in this article, an inventory manager can also be responsible for coordinating other employees and keeping them motivated, so leadership skills are vital here, too. Personal Qualities: Reliability, attention to details, ability to concentrate. Wow… Seems that being a superhero inventory manager is quite a challenge! But it only seems to be that hard. Actually, if any person, not only an inventory manager, enjoys what they’re doing, they prove to be the most motivated and dedicated employee. Do you agree? PS: We at Delivrd are doing our best to help our users automate inventory management processes of their companies. Try our free app and see if it can help you become an inventory management superhero!